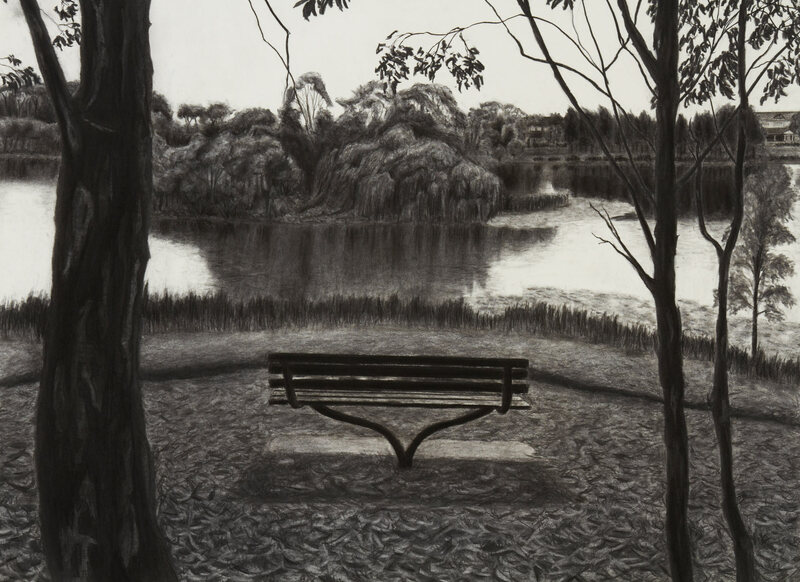 My work explores the need for quiet places in urbanised areas, where humans and nature coexist harmoniously. 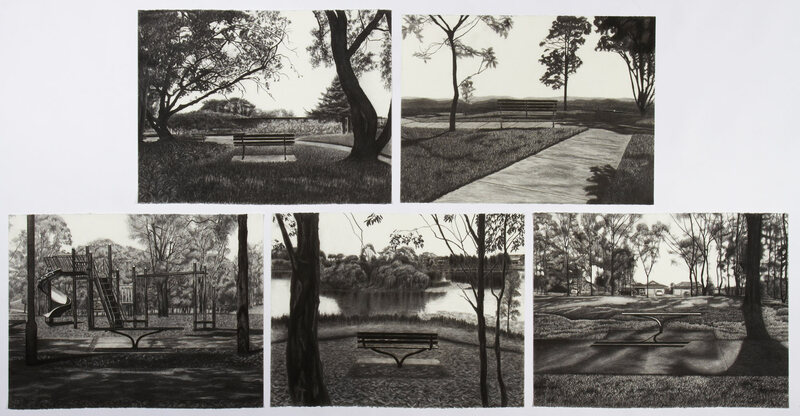 In depicting built public spaces in my local area of Penrith, I have explored themes of isolation, enchantment and contemplation. These themes represent my own connection to the city I was raised in for most of my life, promoting an appreciation for areas that would otherwise be overlooked as mundane, prosaic or banal. It is these quiet spaces that give us time to stop and think, uninfluenced by the busy day-to-day routine of life. 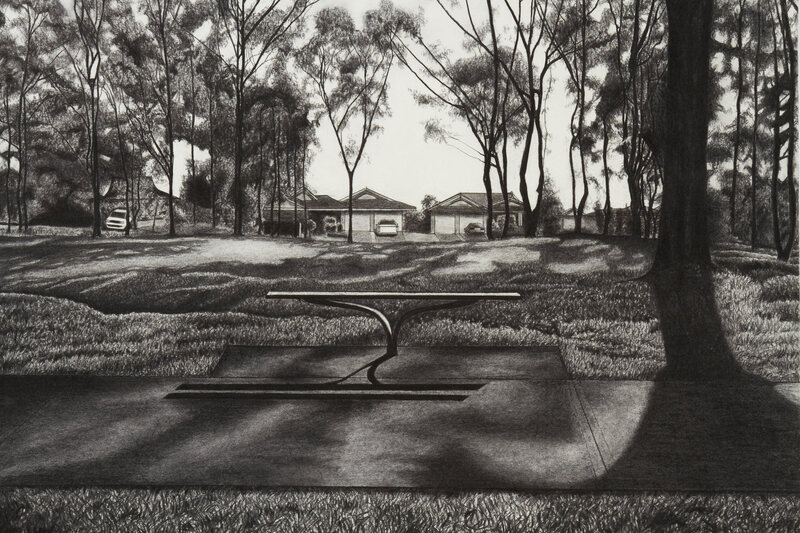 Consider the emptiness of Barnaville’s drawing compositions. How has he created this quality in his work? Does his work make you look differently at places you take for granted? Find a space in your local area and create a series of drawings using a similar approach. William Kentridge considers drawing as a primary medium in his art practice. 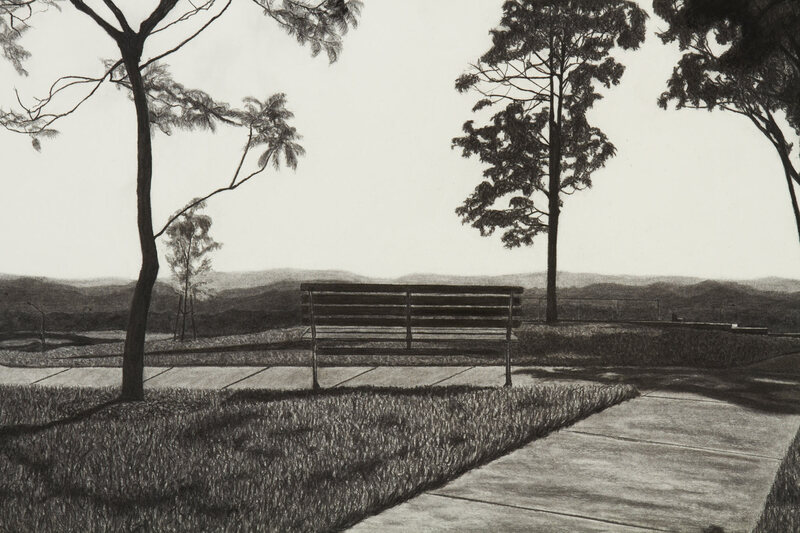 Using charcoal, he works in monochrome and creates a sense of immediacy in his mark-making. Discuss your own approach to drawing. Is it part of your process or, like Kentridge, the medium of choice?